Real Estate Closings / Escrow / Title | Pleat & Perry, P.A. What can Pleat & Perry, P.A. do for you? The friendly and professional service you will experience from our staff will assure you that your real estate matter will be handled with the utmost care and professionalism in the most efficient and expeditious manner possible. We will handle all aspects of your real estate closing. We can hold the earnest money deposit, make recommendations for possible financing and conduct the closing at our office or at a location convenient for you. We are here to help make your real estate transaction as stress-free as possible. We will match or beat quotes from other title companies. In addition, our title company is here to accommodate you, our client...offering after-hour and weekend closings available by appointment. 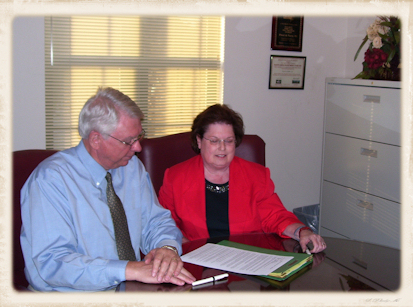 Our title company has the full resources of the law firm of Pleat & Perry, P.A. to handle any and all legal matters arising out of your transaction. Contact our Destin, Florida closing department at: Tel: (850) 650-0698 / Fax: (850) 837-0698. Section 1031 of the Internal Revenue Code allows a taxpayer to defer or postpone the payment of capital gains tax from the sale of investment real estate if the proceeds are reinvested into "like-kind" property. You must have held the relinquished property and you must hold the replacement property for investment or for productive use in a trade or business. A 1031 Exchange, or tax free exchange, is when you trade one property for another without having to pay any federal taxes on the transaction. In an ordinary real estate transaction, the property owner is taxed on any gain realized by the sale of the property. But in a 1031 Exchange, the tax on the transaction is deferred until some time in the future, usually when the newly acquired property is sold. Specifically, when you sell real estate, you have to pay taxes on the gain from the sale of the property. This gain is either caused by the real estate property appreciating over time or by taking depreciation deductions for tax purposes. A 1031 Exchange offers you an exception to the imposition of the capital gains tax, pursuant to the IRS Code. With a 1031 Exchange, when you sell business or investment real estate, you can defer the payment of the tax that is due on the sale. If your objective is to use the proceeds from the sale of your property to buy more business or investment real estate, a 1031 Exchange can provide you with more funds for investment than would be available through the investment of after-tax proceeds. Pleat & Perry, P.A. will provide all of the necessary 1031 Tax Exchange documents and will deposit your funds into an interest bearing escrow account. Their staff is dedicated to serving you in the most efficient, professional, and expeditious manner possible. 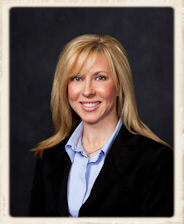 We look forward to assisting you in your real estate transaction. $1,000 Intermediary Fee: This is the minimal fee for participation in a basic exchange, the disposition of your Relinquished Property and the acquisition of one of your Replacement Properties. *The hiring of a lawyer is an important decision that should not be based solely upon advertisements. Before you decide, ask us to send you free written information about our qualifications and experience.